"The labels kicks of with two releases. The first is a compilation with actually a simple but effective theme. Open the window, record the daily sounds and add music to those daily sounds. Or adding daily sounds to music. The music is by such people as Dronaement, Sebastian Roux, Logoplasm, The Infant Cycle, Alio Die, Andrea Marutti and Deep - all people with some name recognition in the scene of CDRs. What is noteworthy on this compilation is that the field recordings are in good balance with the music. We hear birdcalls, children playing but they are all embedded in a set of synthesizer passages or computer processing. The whole thing consists of music that a strong ambient character, with nice atmospheric tunes. Frz w/Imagho step out with a piece of guitar strumming, but this doesn't break the nice flow. Highlights are the deep sounds of Sebastian Roux and the Ora like piece of Alio Die." "Ten sound-artists went out to record whatever they could find with field microphones and then used these sounds to build music with and around. As expected the results range from noise to electronic, though all of them are rather on the drone side. "Muzick out of open windows" is not only a collection of noises made into tracks that still remain noise, but all contributors have sat down to produce music that is both challenging and relaxing. Public noise becomes just another ingredient and is on the same level as digitally produced noise or even traditional instruments. Contributors are among others Droenament, Deep, Andrea Marutti, Sebastian Roux, The Infant Cycle and Fragmist (aka Ryuta Noguchi). Right now it is snowing heavily outside. It has been snowing since yesterday morning and slowly the city is getting accustomed to the new circumstances. Like every year. Walking outside the sounds are muffled and muted. A strange feeling, when compared to the sundrenched lushness of this compilation that make images of summer crop up instantly, like walking in the sunlight through a city park or leaving the windows open for the clutter of sounds to accompany fresh air into the living rooms. Which gets me straight to the core idea of this compilation. Perusing the motto "I am a field recordist", it is all about mixing the sounds of the public sphere with music. To show that there is really no difference? Or to highlight the fact, the ear catches every sound around without judging, so that it is the sense of hearing that points our attention to certain sounds (especially familiar, loud, sudden or unexpected sounds - the remains of our hunter/prey-instincts) and that it is our mind which interprets certain sounds as music, atmosphere or noise? Like birdsong, which gets used on various occasions during the course of this CD - and adds to the sun-filled, warm summer-impression. There is a little stack of likeminded compilations starting to build up on my CD-shelf, with the highlights being "Broken Channel" (on C0C0S0L1DC1T1) - which deals with the issues of public surveillance, borders and the sounds of political uprising - and -The noise & the city - (on autres directions in music) which has about two dozen musicians from all kinds of fringe music styles from all over the world use nothing but sounds of their hometown and describe them. In size and range "muzick out of open windows" doesn't come up to "the noise & the city", but then again rarely ever does another compilation. Even though the contributions also come from places like But there are some good points about this record that make it worthwhile and good, too. One highlight of this compilation is Deep's "werkstattmuzick" (repair shop muzick), which is Deep's usual spread of double-bass-drone played live in a repair shop. Fact is, Deep rented one of the lifting ramps, set up their amps and recording gear, invited some friends (some even showed up) and did an half-hour gig of bass-improvisations that flooded the hall and mixed with the noise of people using their tools to repair their cars. Great idea and great execution. An instrument is nothing but a tool anyway as well as I have seen people using power drills more creatively and with love than some people played their guitars. I love people who will follow their strange ideas consequently to the end instead of dismissing them right away. Or maybe it is just proof that Deep will play anywhere. Musically, their deepend-growl of bass stands aside from the rest of the music for the simple reason that it was recorded live and, except from the cutting down to close to seven minutes, there seem to be no overdubs. Because most of the music on here is heavily worked at. Musically, I'd also count "open content" by droenament and "snapshot" by frz w/ imagho to my favourite tracks on here. Droenament has impressed me already with its music on the Dhyana-8"-series, and even manages to top this here. (They have a full CD on fieldmuzick as well, I think, I'll have to get that one.) An impressive yet introverted piece of slowly unfolding electronic music, intricately mixed with field-recording noise, which is just beautiful to listen to. The driving groove of this synth-based drone will take you away, believe me. Especially the various stuff happening on various levels. Like your attention shifting from one source of sound to the next. Frz w/ imagho have the same subtle yet enriching mix of music and discernible outside noise (incl. the aforementioned birdsong, people yelling, streetnoise, etc.) but they mix it with gentle guitar strumming and plucking, some piano chords and notes. The "real" instruments on this track are a stand out to the rest of the music (Deep excepted of course). These tracks are like sitting on a bench in the sunlight listening to the sounds the wind blows to your ears and getting a modern symphony of sounds with nature and society as your orchestra. The start of Sebastien Roux - track "3 open windows" is so soft and gentle, with electronically modified crickets with more gentle digital noise in the background (compare John Hegre maybe R. Ikeda), that it is possible you'll overhear it, when you have your computer running in the same room. Because the airing of your computer will be louder than this track. The music itself is a striking piece of digital noise and drones made to strike from subconscious levels, but the fact that you'd have to listen to it on headphones to really get the effect is somewhat paradox in this context. The same is true for Infant Cycle's ominously titled "green floyd". Again, great stuff, but at times almost inaudible, when there is need to be quiet with music. Ah, what the heck. Turn it up. Last mention should got the variety the tracks offer, most of the within themselves, but also in the flow they have been arranged. 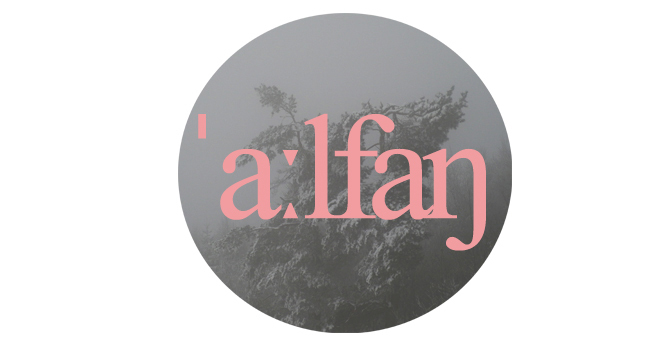 "jnaropie" by aalfang mit pferdekopf will surprise you at the end with some sudden noises, alio die with what sounds like snoring, fragmist will make you dive with dolphins and so on, without ever getting too obvious about it. Well, it says "a collection of field-recordists and sound-artists" on the back cover and that is what you'll get. And to think that this is just the first release of this label is astounding." "Field Muzick is a new-born label run by Marcus Obst of Dronaement fame, and is focused on, surprise surprise, field recordings and music. Hardly a new concept these days, as the idea of mixing sounds with what one can hear out of his/her window. This said, the sampler is really good, offering strong pieces by all projects involved. I have to say the phonography aspect is not that remarkable to me - you basically hear very similar sound phenomena throughout, but that's unavoidable I guess. The musical aspect, on the contrary, is much more interesting, sometimes brilliant. Oddly enough, Dronaement doesn't use the drones he's rightly known for, offering a piece of rhythmic, spacey electronica, and along with Frz w/ Imagho's acoustic guitars it's the only non-droning track here. Some great, sombre ambiences come from Aalfang mit Pferdekopf, Alio Die, Andrea Marutti (aka Amon/Never Known etc. ), Logoplasm and The Infant Cycle. Sébastien Roux seems to reduce everything to pure frequencies and digital crackles, and offers a powerful throbbing soundscape. A very cohesive and rewarding sample, as all projects are well represented and surely offer no filler."